Sometimes a restaurant's location can overcome mediocre food. And most other times, some restaurants benefit from brand recognition. However, there are many restaurants that have good food, but no one will ever hear about them because they are hidden and ultimately close due to lack of business. Once particular location in North Delta has been the deathtrap for many a restaurant since it is hidden from street view despite being easily accessible with tonnes of parking. Since I've known about the location, it has been home to 4 restaurants. 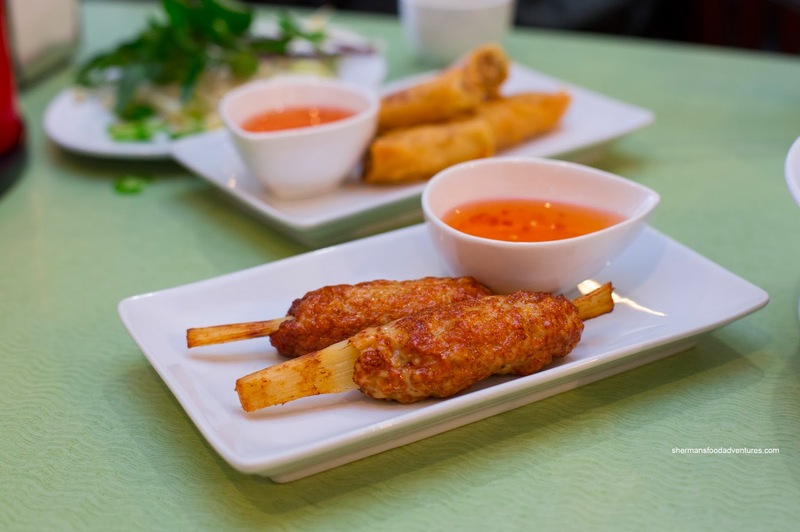 The latest is Pho Golden and I had the good pleasure of trying out some food on their dime. Interestingly, this invite was set up by Bookworm (a fine colleague of mine) who had tried the place out on a few occasions. He liked both the food and the owners so much, that he wanted to give the restaurant more exposure. 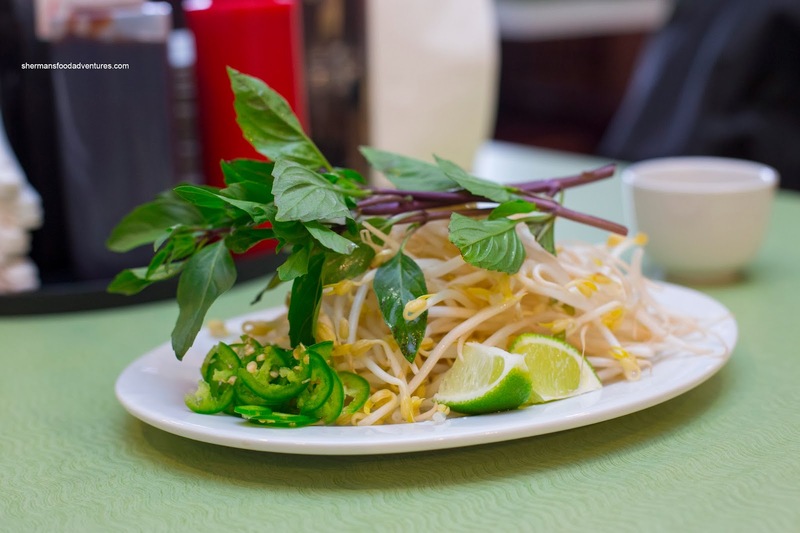 Onto the food, we started with the Pho Dac Biet which came out piping hot. I found the soup to be easy on the MSG exhibiting a mild meatiness. It wasn't particularly sweet nor salty, hence I could pick out some other flavours. I found the noodles to be toothsome while the meats were on point being tender, including the tendon. 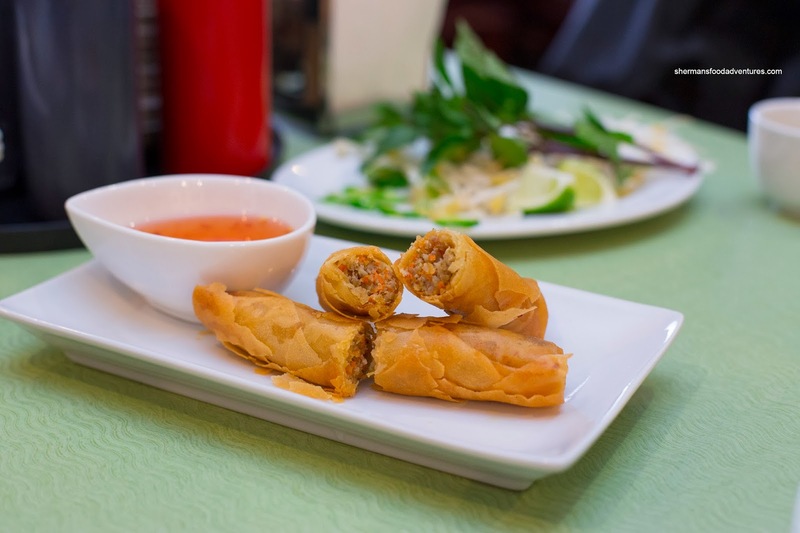 Next up was the Spring Rolls which employed a wheat wrapper. Despite this, it was crunchy and minimal on the grease. The filling was moist and wasn't too dense. I found the flavours to be quite mild with only minor hints of onion and fish sauce. I really liked the Shrimp Paste on Sugar Cane as it was fried up golden brown. The shrimp paste had an appealing texture where it was bouncy and had the right amount of moisture. The flavours were mild with sweetness from both the sugar cane and shrimp itself. I liked how they didn't overseason the shrimp paste (since there was nuoc mam cham already). 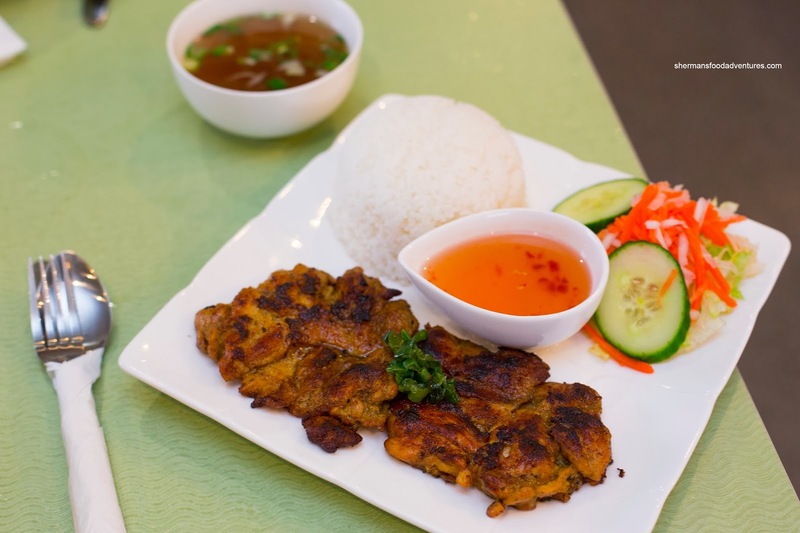 Next up we tried the Lemongrass Chicken with Rice. The 2 pieces of chicken were nicely grilled with a flavourful bark which was sweet. The chicken itself was mostly moist except for the aforementioned bark. There was definitely a lemongrass hit as well as even more sweetness as the marinade penetrated through the meat. 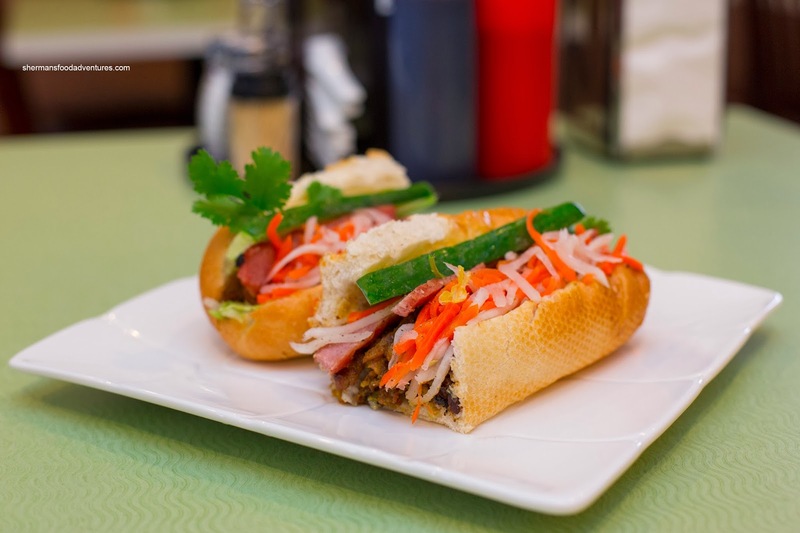 Lastly, we tried the Grilled Pork Banh Mi which was stuffed with ingredients. Although the bread wasn't exactly that crusty, it was soft and light. With the amount of filling, there was plenty to go around in every bite. I liked how there was enough pickled daikon and carrot from crunch and acidity. 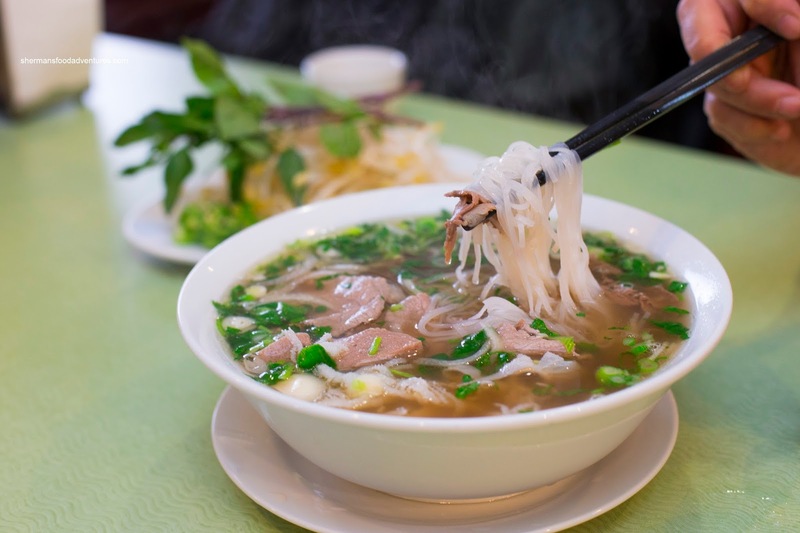 Much like the previous Vietnamese restaurant at this location, Pho Golden is better than the nearby Pho Stanley and Pho Hot. But due to its location, many will never get the chance to try it out. 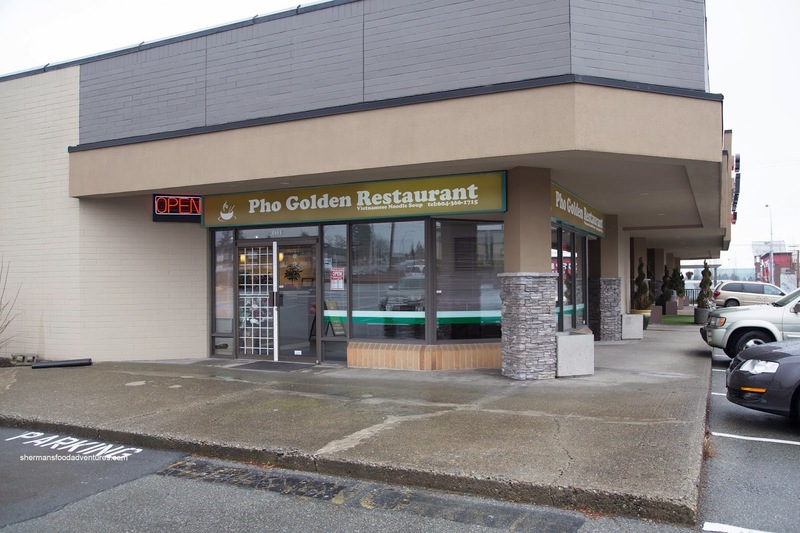 Although it is not Pho Tam good (and who is really), Pho Golden is the best of the bunch in North Delta and really deserves more business than it gets. Sherman, you made my night. I love that you discover these hidden restaurants so that others may (hopefully) discover them as well. I'll be heading there this week to try them out. Thanks!